Thank you to everyone who attended our Eighth NAG Collection Development Seminar – all 116 of you! This was our highest ever number at a seminar and proves the popularity of both the format and the topics. The feedback so far has been very positive, and if you would like to add you comments, our online survey is still open here. We would like to say a special thank you to our speakers for sharing their knowledge and experience with the group, and for taking the time to put together their slides. 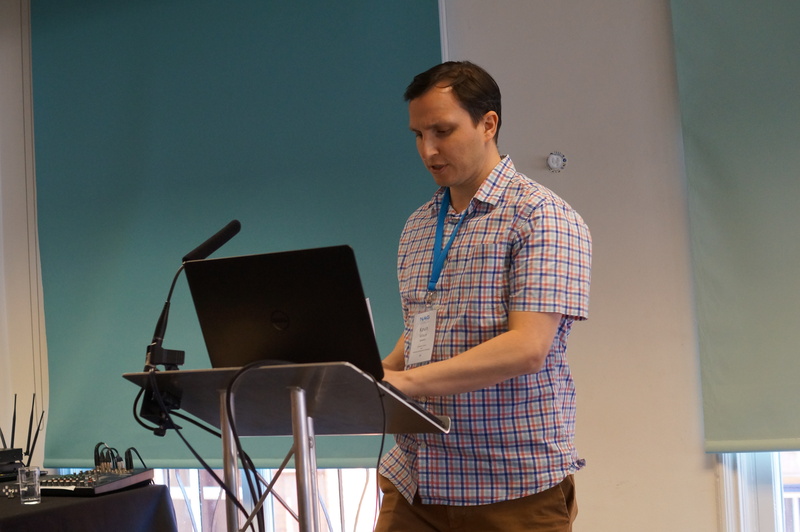 The slides from the whole day are still available via the Glisser interface at glsr.it/NAGcd8 and the papers will also feature in the next issue of Taking Stock if you couldn’t join us in Birmingham. 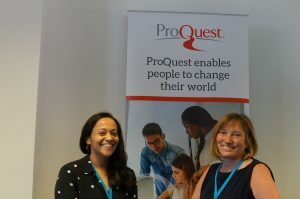 Our Exhibitors – Anybook Library Services, OCLC and Proquest – made it possible to keep prices frozen at 2016 levels so huge thanks are also due to them and we hope you had the opportunity to chat to them on the day. Leaflets from all our exhibitors were also in your packs. 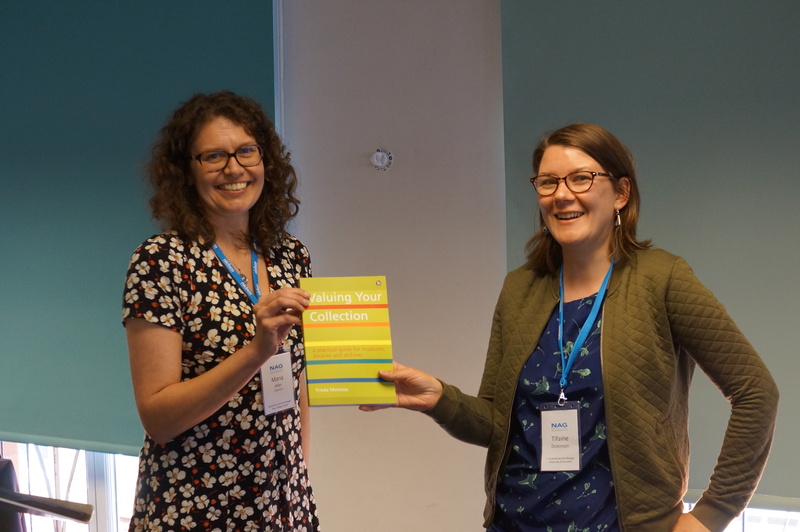 The prize draw, with the suspense-filled random name generator, was kindly enabled by Facet Publishing with their incredibly relevant donation of a copy of “Valuing your Collection” – the most topical book ever donated as a NAG Seminar prize! Congratulations to Tif. We will be back at the Studio in Birmingham on 15th May 2019, but before then, we are trying out the Studio Leeds on the 7-8th November this year. This will be two day seminars with a focus on academic on day one, and public for day two although we hope that those members who can will continue to attend both days and we will of course continue to publish papers from all seminars in Taking Stock to provide cross-sector learning in that format. 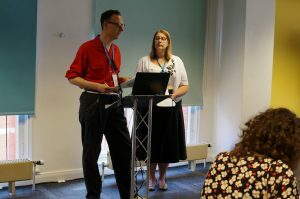 This change is in response to feedback from NAG members that they find it difficult to justify the expenditure on NAG Conference to their line managers when only half of the programme is directly relevant to their role, despite many comments from attendees about how much they have learnt from presentations from the opposite sector. A theme along with a call for papers will be out in June, and bookings will open in August with prices per day similar to May seminar. 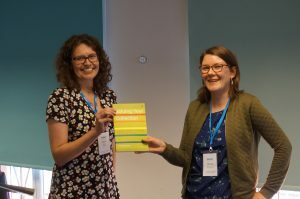 There will also be opportunities for sponsors and exhibitors (Full details are available here) with Dawson Books already signed up to support the event.